Here are six that vary across age ranges and difficulty, there should be something for everyone. Rather excitingly, the sites I have chosen have a million other ideas on them so I really recommend you delve into their archives! 1 – A beautiful drum kit from A Beautiful Mess. I love that this drumkit is made using the real principle behind traditional drums – and it looks gorgeous. Do set aside some time on A Beautiful Mess as it is DIY HEAVEN! 2 – Easter Egg Maracas, this is the perfect homemade instrument for the Easter holidays! They would create a lovely sound and I know the kids would enjoy crafting them up too. 3 – Tube Guitar. This guitar is the next level on from the elastic bands around a shoe box string instrument. This site has comprehensive tutorials for a load of instruments and will be ideal for older children. 4- Garden Xylophone – every garden needs an enormous wooden xylophone like this! THis is 100% on my to do list. 5- The same site has a few garden instrument ideas – including this bash station filled with lids and pans. 6- Finally, I love this simple idea for toe tapping fun – tap dancing shoes! Children love to get really involved with the instrument – my daughter Juno tries to play our ukulele with her feet – so I think this super simple idea would go down a treat! 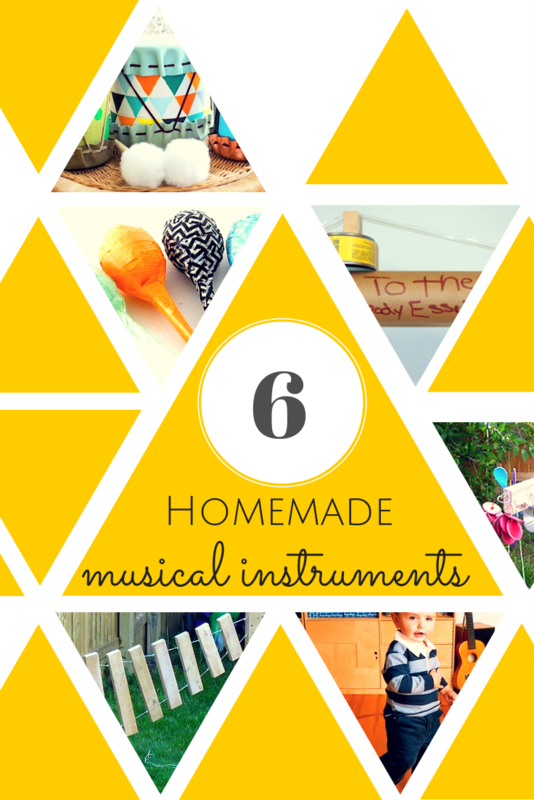 Let me know if you have made any successful musical instruments for your kids! Are there supposed to be links to the sites with instructions?